Special Roll and Midori Roll, an off-menu, perfect duo. SPECIAL ROLL, with a firework sauce display on the plate; this dish is always a dependable delight. This dish is off menu, but ask for it and mention the website to have Chef Terry work his magic. The Special Roll features a shrimp tempura roll, topped with scallops and onions. pan fried special mayo with unagi also gives this dish its finishing touch. Do more, Bluefintwo. Do more. 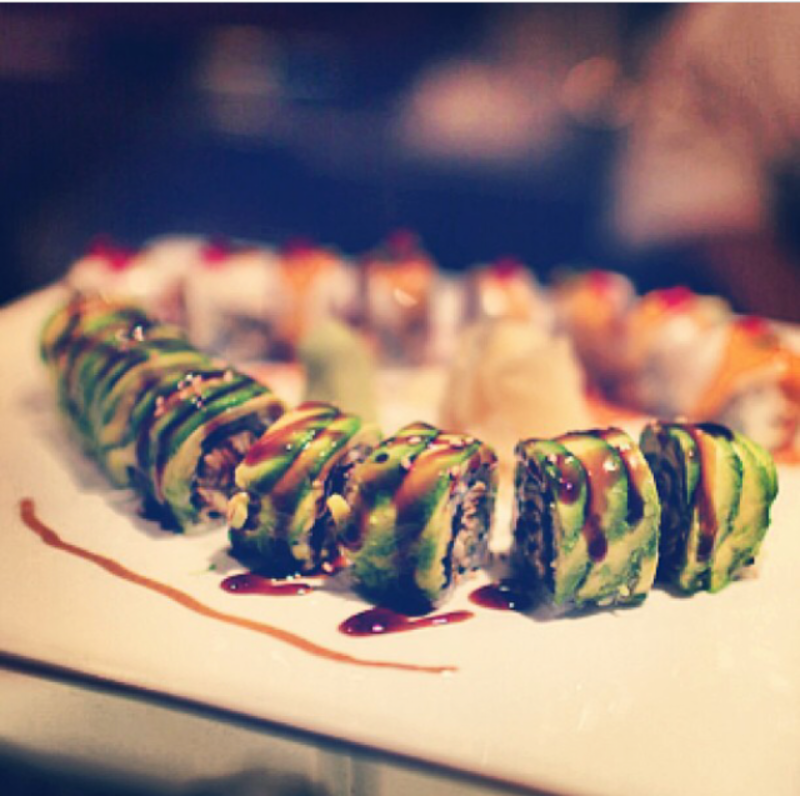 MIDORI ROLL, where sushi meets art. This elegant dish is sure to cover the range of tastes desired when one enters this hole in the wall, high-end sushi restaurant. Next This week’s special: VOLCANO ROLL – which comes with a free appetizer!